Ivy: How did you get started in your current profession? Paula: I had many jobs and each one prepared me for the next one. I started out as a social worker in NYC. I wasn't crazy about the job because I found the job to be more about benefits and less about truly helping people live a better life. After about a year of dolling out assistance, I applied to IBM and got hired. I started out answering the phone but ended up in the training department. After a major downsizing I decided I wanted to pursue a career in post-secondary education. I became a contractor with a local community college responsible for managing an off-site training facility. I went back to school and got a Masters in Communication and started working for the State of Georgia Technical College system as a Curriculum Specialist. While there, I started conducting leadership and personal development workshops for the students and staff. After many years, I faced another downsizing and ended up teaching GED to at-risk youth for a federally funded program. My experience working with the youth qualified me to do what I do now—contracting with the government. I travel the country monitoring, coaching and working with programs that receive federal funds to help young people get their GED, get in college and or become gainfully employed. 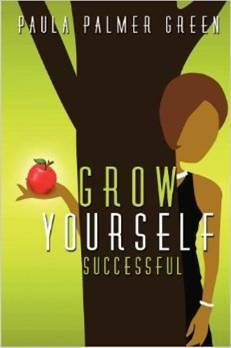 My experience delivering workshops for the State of Georgiaprepared me to write my book Grow Yourself Successful, and continue to travel the country delivering workshops that help people prepare themselves for greater success. Ivy: How did you get started on this road of self help? Paula: My recollection was that it was social work. I majored in social work in college. My mother always encouraged me to become a teacher. But I didn't think I wanted any part of being in a classroom, because at the time, my vision about teaching was very limited. Also, I always had a love for fashion and the natural ability to make people look prettier. Many years ago I took a course in image consulting and started conducting workshops at corporate events and ladies groups. Ivy: Paula, what is your personal philosophy? Paula: I believe that life is not having and getting—it is being and becoming. When I was a little girl, I used to play school with the little girls in my apartment house and I always liked to make people look prettier. I was always the teacher. While each of my jobs prepared me for the next one, there were some lull periods along the way waiting for the next opportunity. Being able to tap into my talents and sell myself has sustained me in between those times. Ivy: What advice would you offer to women struggling to find their way particularly those who are over 40 even 50? Paula: You are never too old to be what you could have been. When life gives you lemons, make lemonade and sell it! Look within and find that one thing that you do best and do it. Form your own business and brand yourself, get a mentor, embrace technology, devote time to developing your craft and remember to stay positive for if you change your thoughts -- you change your life. You can get a copy of Paula's book by clicking on her ﻿Web site.